If you haven’t already enrolled please consider supporting AMS. It’s easy to sign up and AMS will automatically recieve a contribution each time you scan your Dillons Plus Shoppers Card! Customers will need to sign in, and make their contribution selection using the AMS organization number – NL917 - or search using Andover Middle School. Go to www.Dillons.com. If you already have an account, click Sign In and proceed to Step 2. Otherwise click Register in the upper right corner. Enter the requested sign in information – this will require a valid email address – and click Create Account. 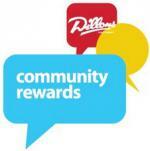 Add your Dillons Plus Shopper’s Card or Alt ID to your account. (Enter the 12 digit number from the back of your Plus card – found directly below the bar code). If not already signed in, sign into your Dillons.com account. Select Community Rewards under the Community tab. Enter the Andover Middle School organization number – NL917 – or enter the first few characters of our name and click Search. 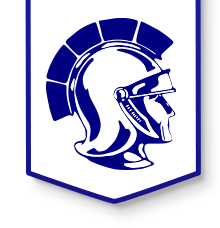 Select Andover Middle School from the resulting list and click Enroll. A percentage of every purchase will be donated back to AMS! Thank you for supporting Andover Middle School!